Mary Louise Scott Malone, 86, passed away on Wednesday, September 12, 2018. 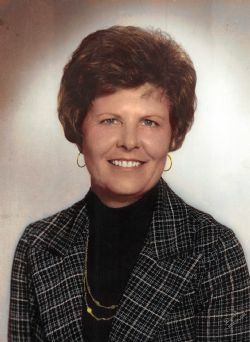 She was preceded in death by her loving husband, Jim Malone, Sr.; her parents, William and Pearl Scott; her son, Jim Malone, Jr.; and her brother, Bill Scott. Mary is survived by her 2 sons, Larry and Roger Malone; her 2 daughters, Melinda Brewer (Don) and Kathrine Malone; her 10 grandchildren, 17 great grandchildren; and her 2 sisters, Barbara Billingsley (Rivers) and Mabel Skinner (Johnny). She worked and retired from AT&T. Visitation will be held on Saturday, September 15, 2018, at The Orchard Church, 3690 S Houston Levee Rd, Collierville, TN, 10:00 am to 11:00 am, with a funeral service immediately following. Interment will be at Sunset Memorial Gardens, 5783 US 49, West Helena, AR, at 3 pm. Click Play below to view the Video Memorial for Mary Louise Scott Malone. If you would like to order a DVD copy of the video, please contact the funeral home at 901-371-9500.